When it comes to bow hunting, for me the bird is the word. 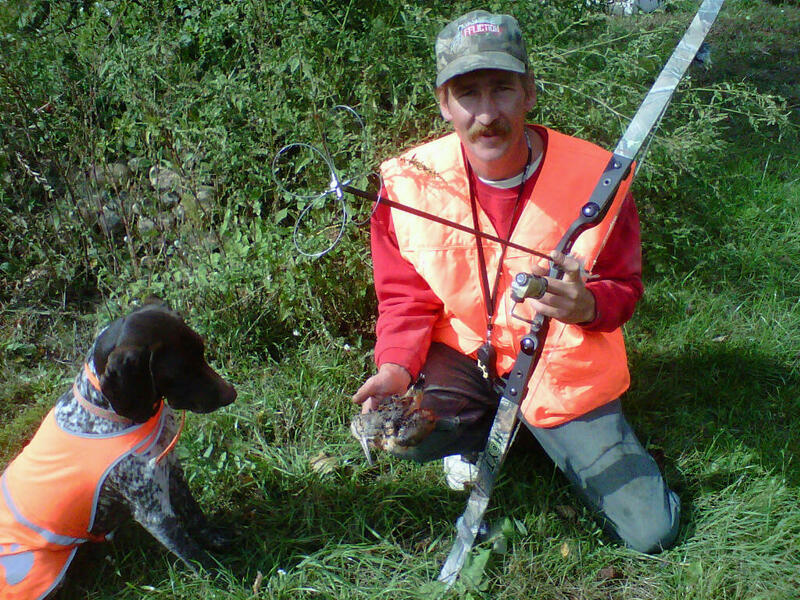 Whether it is hunting doves, pheasant, quail or chukar partridge you can count me in! Shooting birds out of the air with a bow is almost as exciting as shooting a nice whitetail buck with the bow. It is also a great exercise to keep me in tune with my archery equipment all year long. Birds Eye View in Wisconsin is a great resource for all thing aerial. Even woodcock! I started out hunting turkeys with my bow years ago, and then Birdseye View in Wisconsin sent me a video with the song “The Bird is the Word” where Carey was shooting quail out of the air with his bow and a Snaro. Birds on the wing with the bow? Hell, I’ll try it. I went to Birdseye View, we shot some quail, chukar partridge, and even a few pheasant out of the air with our bows and Snaros. “The bird is the word” plays in my mind now every time I chase any kind of bird with my bow. With a Snaro from Snaro.net hanging out in front I’ve been surprised how much easier flying birds are to hit than I thought they would be. At the end of a Johnny Flu-Flu the Snaros won’t burrow under the grass or briars and won’t fly 300 yards into the “forevermore”. Arrow retrieval is a cinch, and the Snaro is deadly on birds, even if I don’t drill that bird dead center like I would have to with a field point or other small game tip. The bird is the word!